All the product links mentioned on this site are affiliate links, this means when you use the links to purchase the products I will get a commission from that sale. Getting a commission is a bonus, for I would still share the links with you because these are the products I use, have used or recommended to previous customers, when I owned my hair and wig shop. I want all you wig wearing ladies and gents to be happy with your wig purchases for many months afterwards. This is why I only share products that will help you to keep your wigs in a healthy manner, that way they will last longer, helping you save money in the long term. 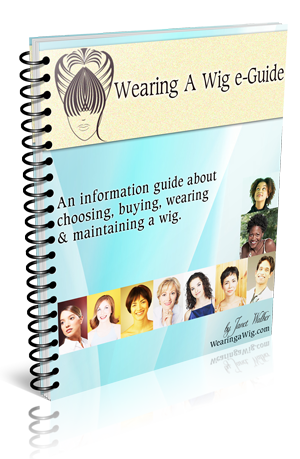 Wigs caps are to protect your scalp if you are suffering with hair loss or thinning hair. Or you can wear a wig cap to help hold your hair in place while wearing your wig. You don’t have to wear a wig cap if you go for the cornrow method but if you are using the flat pony method then wearing one can help. I included hair nets in this list because if you want to hold your wig in place by using pins then wearing a hair net would be better than wearing a wig cap. These hair nets provide the security of having a broadish band around the edge, where most normal hair nets do not. These hair nets are most commonly available these have a thin edging. These hair nets are ideal for placing over your cornrows or shorter natural hair, if you want to pin your wig to your head. Foam wig heads are recommended to help store your wigs when not being used. You already know about my unorthodox places I use to store my wigs. However foam wig heads are easy to handle and use and, they are made specifically for you to display your wigs beautifully. These are the Oil Sheen Sprays I use. I use the Olive Oil sheen spray more often but if i cannot get a hold of it i will turn to Motions Oils Sheen Spray. I use these brands because I use and have used other products in the same range for my natural hair. You will see a few other Oil Sheen Sprays from other brands. These are fine to use on your wig and you will get the same results. However different brands have different price tags, so it’s what suits your wallet, which will help you decide which you would choose. Even though I mention using a standard shampoo to wash your wig, I did want to share which product I use. I use African Pride Shampoo and Conditioner, it’s a lovely product to use on my wig and on my natural hair also. This product contains a lot of natural ingredients, so even though its not that beneficial for your wig for the hair is not growing from a scalp, its great for your natural hair, no matter what hair type you have. Plus as a bonus as its a shampoo and conditioner it saves you time, for you are effectively doing 2 jobs at the same time. This allows you to wash your hair without actually taking out your cornrows. Its a great product for it cleanses and refreshes your hair while allowing your hair to stay clean and smell fresh, plus your hair dries instantly. So if you are between shampoos this is the product for you. Wide teethed combs are ideal for getting out those tangled ends. Or feathering out your synthetic molded hairstyles.